Two roommates wake up in a world is much different than the one they remember. Something has happened... they may be the only people left in Manhattan... and someone is coming for them. Shot entirely in one tiny East Village apartment, APT1B is a sci-fi suspense tale shot entirely in one tiny East Village apartment. Are you ready to "get locked in" to Apt1B? 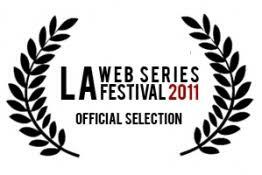 Featured above: the multiple award winning episode (LA Web Series Festival) from Season 2. Created and Produced by Robert Attenweiler. Directed by Dodd Loomis. For the ESPN.com-affiliated Cavs: The Blog. Written, Produced, Edited and Featuring Robert Attenweiler. For Disgraced Productions' play Our Greatest Year. Produced by Robert Attenweiler. Written and Illustrated by Scott Henkle. Edited by Jay Tekus. Voiceover by Robert Attenweiler.